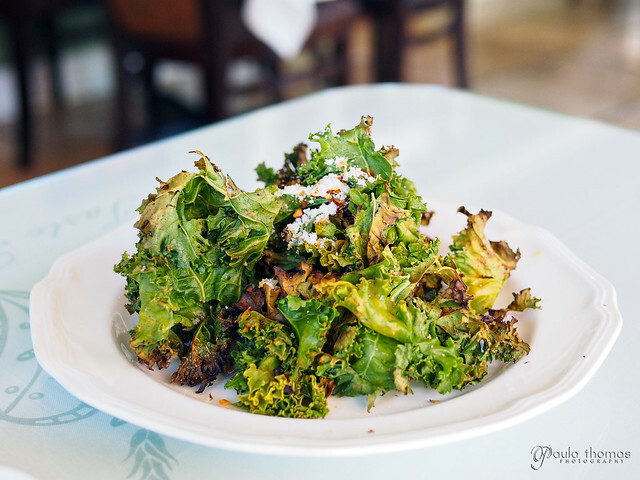 I'm always on the lookout for healthy restaurants that use organic, local ingredients and are allergy friendly. A new one just opened up in Redmond in January. It's actually in the same spot as Graces 5 which I recently discovered closed last year. They were also an organic and local restaurant. 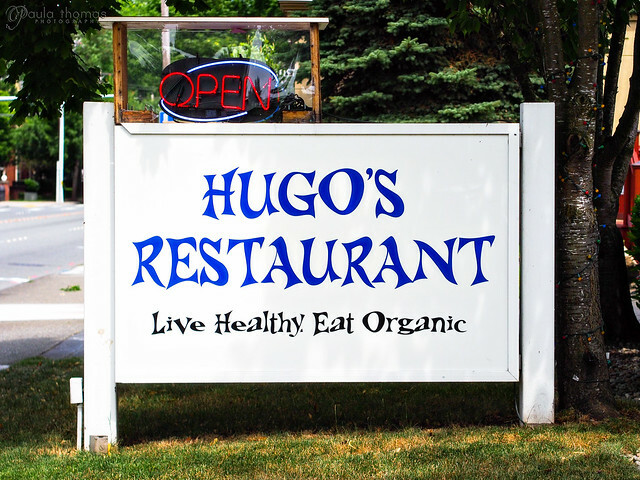 In fact, the chef from Graces 5 is the new owner and chef at Hugo's. Many of the menu items are even the same. I had only eaten there once so I'm not sure how much of it is the same. The tables, chairs and interior paint hadn't changed but there was new wall decor that seemed to brighten up the room. 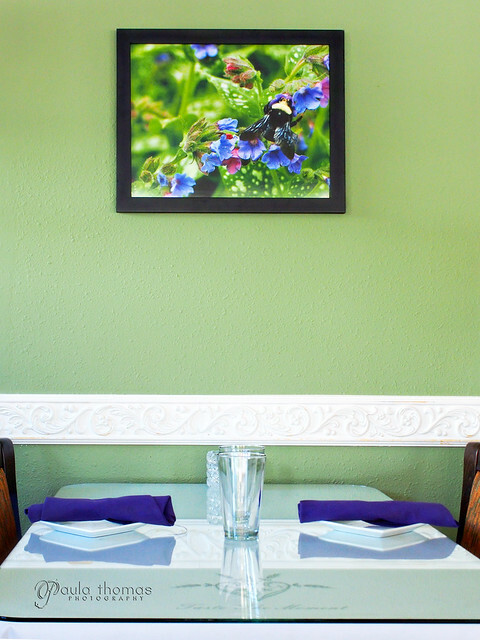 Each table had a beautiful framed photo that was colorful and went well with the purple and green theme of the decor. I heard about Hugo's via a Groupon Deal that showed up in my daily emails. A lot of times I don't even look at the daily Groupons but decided to this day and bought a deal for a $30 lunch for $15. 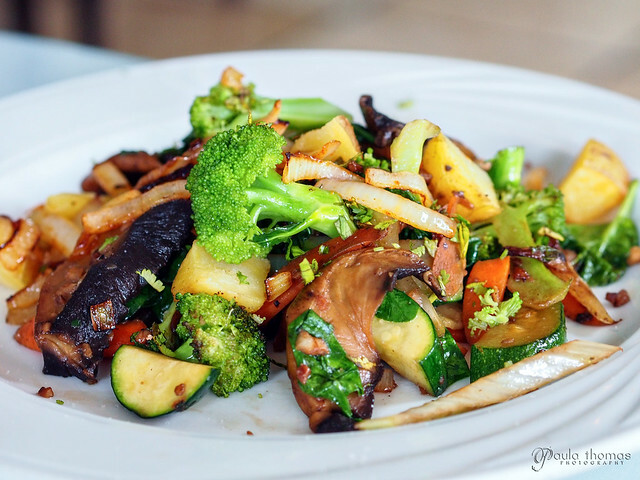 I invited Mei, a co-worker who is transitioning to a more healthy lifestyle, to join me. The Groupon deal was still going on so she bought one too. Unfortunately we didn't realize it until we got to the restaurant that only one Groupon can be used per table so we saved hers for another trip. 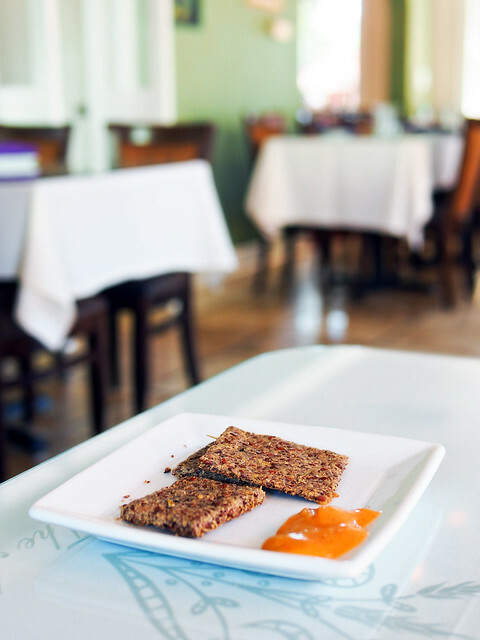 I made reservations and when we got there, a table was waiting for us with a plate of flax seed crackers and a sauce of some kind. It was very similar to the crackers that were served at Graces 5 but slightly different. They seemed a little thicker than I remember and maybe not as many seeds. I usually don't get drinks and appetizers but I had $30 to spend on lunch so I figured I might as well splurge. We both ordered a glass of juice which they make from fresh organic fruits and vegetables with a Nutrifaster N450. I got Bright Eyes (carrot, apple & ginger). Mei got Bold Passion (beet, lime, kale, chard & apple). We took a sip of each others and I liked mine much better. The Bold Passion was a little too beety for me. Besides, the appetizer I ordered has beets in it. 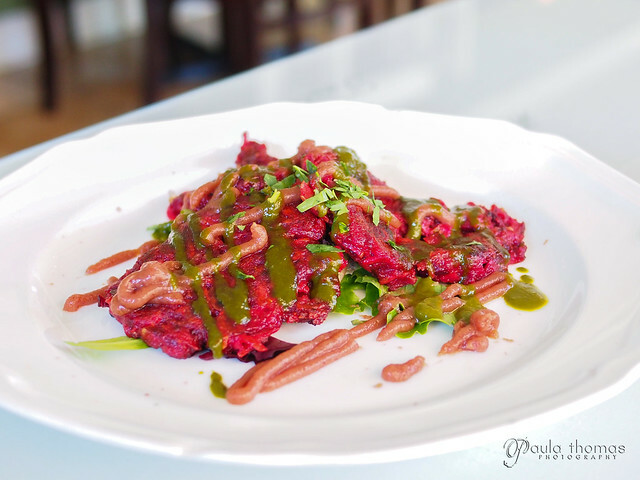 I couldn't resist the beet, potato & apple latke while Mei ordered the crispy kale salad. The latke was good and was Mei's favorite lunch item though it wasn't my favorite. Neither of us were all that impressed with the kale salad. The seasoning didn't seem to stick to the kale very well and most of it sat at the bottom of the plate under the pile of kale. I thought both of our main courses were the highlight of the meal. 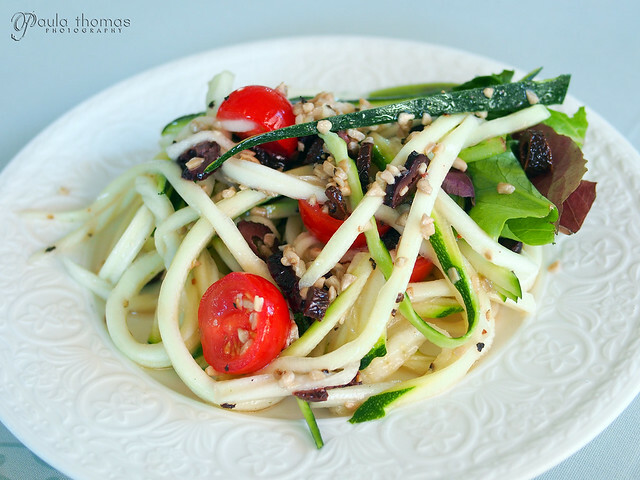 She got the zucchini noodles which is a raw dish made with zucchini shavings, truffle oil, sunflower seeds, raw olives and tomatoes. I had a bite and I could have had more but I had plenty of food in front of me to eat. 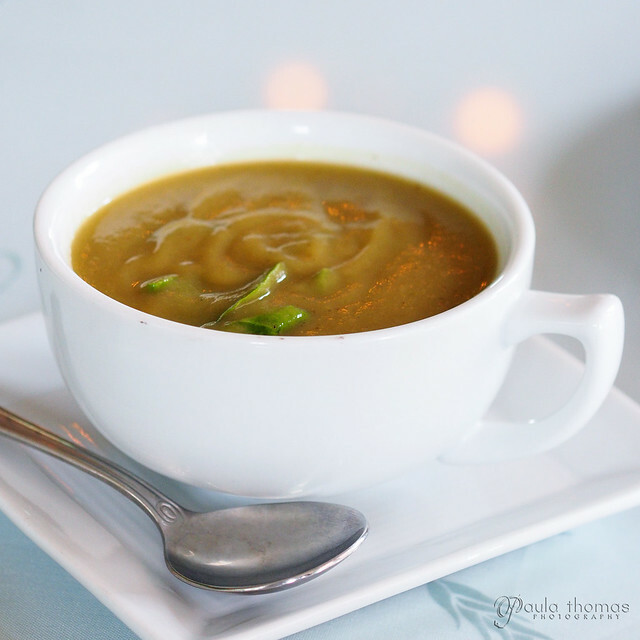 I just got a Paderno spiral slicer to make noodles like this so I plan on trying to make some zucchini noodles myself soon. My favorite dish of the meal was the chicken breast sandwich. 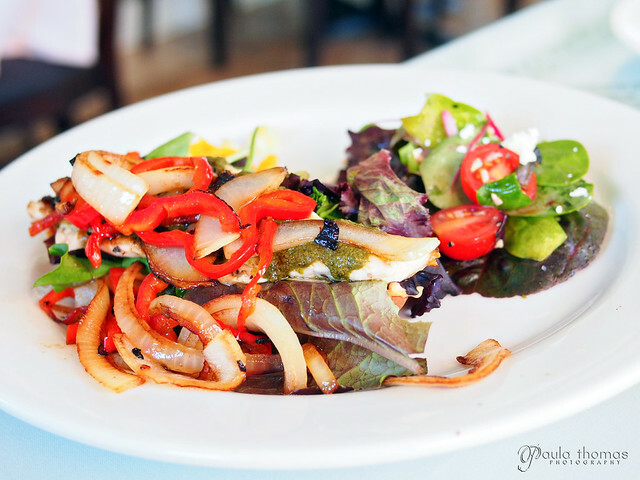 You can't go wrong with sauteed peppers and onions! 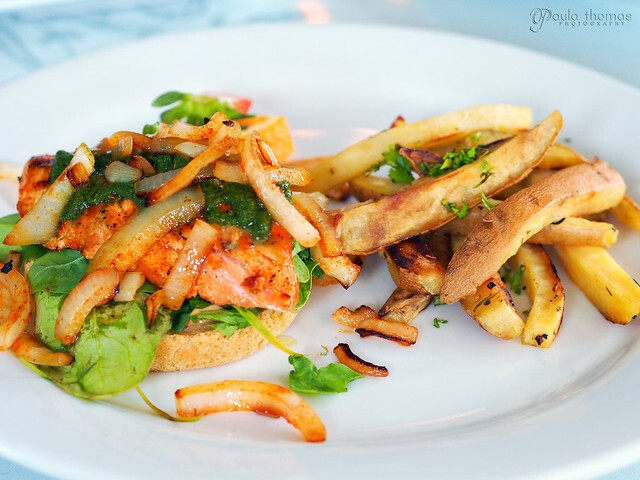 The sandwiches are open face style. It's a gluten free restaurant so they use a gf peasant roll for the base and then it's topped with aioli, a piece of nicely cooked chicken, avocado, mixed greens and the sauteed veggies. You also get a side salad or sweet potato fries and I went with the salad. I want to go back and try some of their other sandwiches. They have turkey, steak, salmon and veggie options. They have a pretty decent sized menu that includes kids meals. I kind of want to try that grilled goat chedder cheese sandwich. My juice, appetizer and main course ended up coming to $31 so I only went $1 over my Groupon deal but probably wouldn't spend that much for lunch if it weren't for the deal. I will hopefully be going back again with Mei when she uses hers. I'm already eyeing the salmon sandwich for the next visit but will probably skip the appetizer and juice but might add a cup of soup.